As part of our missions giving we support the Byers family. 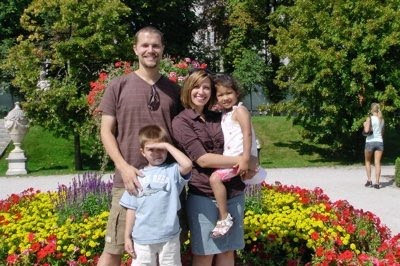 Chris, Dana & family gave up their jobs packed up and headed over to Europe to assist churches spread the gospel. Presently they are in Poland. "Church Online in Polish launches on 1 Nov! We realized that as messages are translated for Church Online in Polish, they will be archived in Polish at OPEN. (a ministry of Lifechurch.tv) So that makes us want to go to another foreign country where English isn't the primary language to translate a new Church Online experience into their language thereby providing http://open.lifechurch.tv resources in the local languages, too. This means the local churches have transcripts, materials, graphics, messages, and more to use for small groups, outreach, church planting...all very exciting for us! It's wild seeing in some of these countries that they literally have NO Christian books or resources translated into their languages. Trusting this could provide a big boost for pastors on the Continent as more languages are available."